Many of us listen to exciting stories about love and say, ’That only happens in the movies,’ as reality is often much more simple and ordinary. Bright Side has prepared for you a selection of 14 movies about strong and pure love, all based on real events. Read, watch, enjoy. This movie is based on the story of newlyweds Kim and Krickitt Carpenter, played by Channing Tatum and Rachel McAdams. The young couple had an accident that resulted in Krickitt suffering from amnesia. She lost her memories of the past 18 months — exactly the period of time that she met and fell in love with her husband. Her memory didn’t recover, but Kim didn’t give up: he stayed with Krickitt until she fell in love with him again. Queen of the Desert is based on the biography of British writer and traveler Gertrude Bell. As the daughter of wealthy parents, the girl has no interest in the social life of London aristocrats. Gertrude (played by Nicole Kidman) goes to the East, where she falls in love with Henry Gadogan, an Embassy employee played by James Franco. This movie was created from the memoirs of teacher, traveler, and public figure Anna Leonowens. She taught the English language and culture to King Mongkut’s 39 wives and 82 children for more than 5 years in the 1860s. Anna, whose character was played by Jodie Foster, acquired the reputation of a wise and visionary woman as she often strongly defended her point of view. The movie is based on the autobiographical book by Danish writer Karen Blixen. Having moved to Africa to start her business, she meets Denys Finch Hatton, a hunter and a traveler. Despite the great difference in their interests and tastes, Karen and Denys have a whirlwind romance. The movie, where Karen was played by the incomparable Meryl Streep, was honored with 7 Academy Awards. This is a film adaptation of the biography of one of the most famous and beautiful Venice courtesans of the 16th century, Veronica Franco (Catherine McCormack). The young woman falls in love with a high-born young man who cannot become her legal husband. Following her mother’s advice, Veronica becomes a courtesan and, thanks to her wit and beauty, wins the hearts of many men. Watch as scientist Stephen Hawking falls in love with philology student Jane Wilde. Soon, due to a progressing disease, he begins to lose control over his body, but with the help of his beloved one he continues his research. Eddie Redmayne, who played the prominent astrophysicist, was recognized with an Academy Award. This movie tells the love story of Charles Dickens, played by Ralph Fiennes, and a young woman named Ellen Ternan, portrayed by Felicity Jones. They met in 1857 when he was 45 and she was 18. The whirlwind romance lasted 13 years, until the writer’s death. This is the story of the talented mathematician and Nobel Prize winner John Nash, who suffered from schizophrenia. Nash is played by the amazing Russell Crowe. 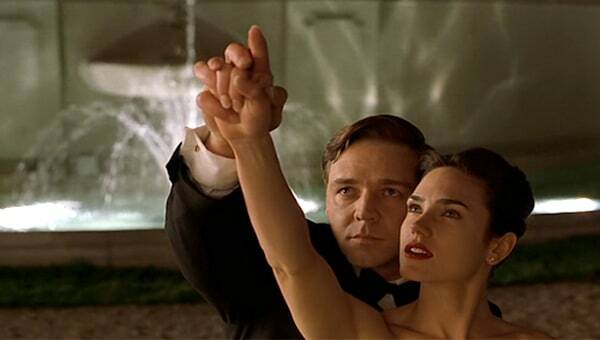 In addition to the unbelievable achievements and difficulties the genius had to face, the movie shows a sincere and pure love of his devoted wife, Alicia Lardé, played by Jennifer Connelly. A biographical story of the famous country singer Johnny Cash and his second wife, June Carter. Johnny, played by Joaquin Phoenix, has been dreaming of this woman for over 10 years. Their family life turns out to be difficult: drug addiction, family and psychological problems — only a great love can overcome it all. Reese Witherspoon, who played June Carter, received an Academy Award for this movie. The movie tells about the famous poet Dylan Thomas, who, being a married man, met his first love Vera Phillips and fell in love with her again. Keira Knightley and Matthew Rhys skilfully depicted the uneasy relations between lovers. This movie tells the love story between the great English writer Jane Austen and Irish lawyer Thomas Lefroy. Their parents were against their marriage as they hoped to find better partners for their children. 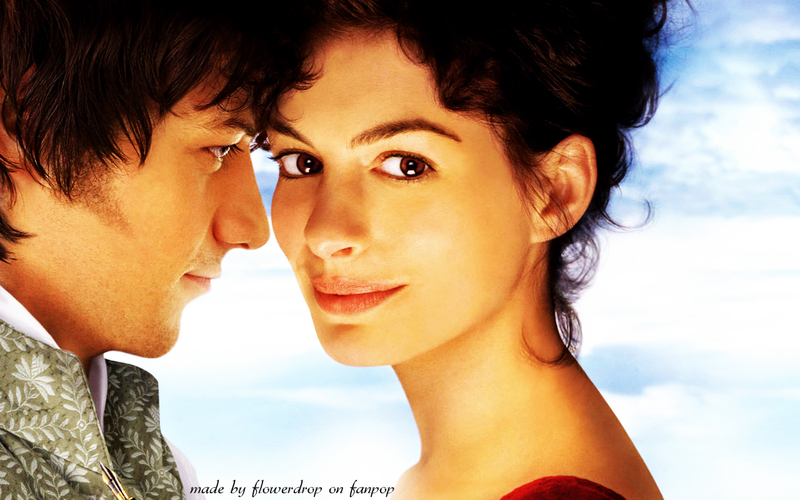 This beautiful but sad story about love was performed by Anne Hathaway and James McAvoy. The movie’s based on the books by British Captain John Smith. He wrote the books after he came back home from America, where he was on an expedition to conquer the Indians and the lands they inhabited. Against the background of wild nature we can follow the beginning of the beautiful love story of John, played by Colin Farrell, and a young Indian princess, Pocahontas, played by Q’orianka Kilcher. The movie tells about a young German couple who find themselves in the midst of a military coup in Chile. The young man, played by Daniel Brühl, is arrested and sent to ’Colonia Dignidad.’ The young woman, played by Emma Watson, voluntarily goes there to save her beloved. This film adaptation of the autobiographical novel by Elizabeth Gilbert tells us that ordeals are the opportunity to change one’s life for the better. One day, when the heroine, played by Julia Roberts, realizes she is unhappy she embarks on a fascinating journey. She finds not only her happiness but also the love of the charming Felipe (in real life José) played by Javier Bardem.